Two names and two restaurants combine at Morden & Lea, Mark Sargeant's Soho solo venture: there's a dual-offering of a brasserie-style British menu served in the upstairs restaurant and a more-relaxed casual sharing menu served downstairs. The Wardour Street restaurant - which gets its name from the 17th century London cartographers, Robert Morden and Philip Lea, who were responsible for mapping out the area now known as Soho - is a 148-cover space split across two floors. 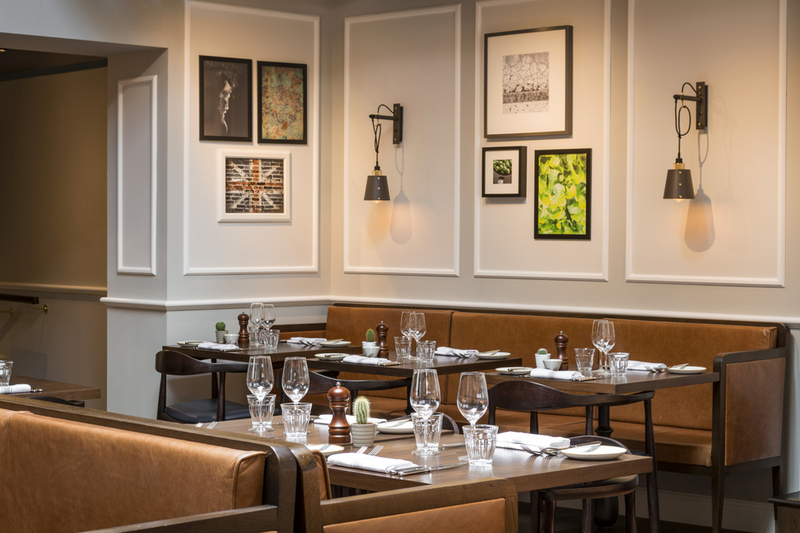 The 62-cover ground floor restaurant offers small plates of mackerel with red onion, capers and parsley, soused herring, potato and sour cream, and crab sausage roll along with a selection of open tartines. Upstairs, there's an affordable fixed priced brasserie-style set menu with roast Goosnargh duck and grilled Cornish mullet with spelt, mussels and bok choy among the mains. Mark Sargeant has a career that spans more than 20 years, including 13 with Gordon Ramsay, seven as head chef at Claridge's, two successful solo restaurants in his home county of Kent, but this is his first solo central London restaurant. And with Dan Mertl (Chez Bruce, The Savoy, Le Gavroche) as head chef it has all the right credentials to be a hit. Morden & Lea gyms, sporting activities, health & beauty and fitness. The best pubs near London Morden & Lea. Morden & Lea clubs, bars, cabaret nights, casinos and interesting nightlife. Where to have your meeting, conference, exhibition, private dining or training course near Morden & Lea. From cheap budget hotels to luxury 5 star suites see our discounts for Morden & Lea hotels, including Every Hotel Piccadilly from 91% off.